AALCO jointly organized with the International Committee of the Red Cross (ICRC) a half-day Seminar on “Autonomous Weapon Systems, Artificial Intelligence and Armed Conflict” on Tuesday, 8 January 2019 at the AALCO Headquarters in New Delhi. The Seminar proposed to explore the current and potential use of Artificial Intelligence (AI) in weapon systems and in warfare, and to discuss the implications for ensuring respect for international humanitarian law. The Seminar was attended by over 60 delegates, including Ambassadors and Defense Attachés from the Member States of AALCO and select Non-Member States, and resource persons from international and regional organizations, academia and legal practice. The welcome address was delivered by H.E. 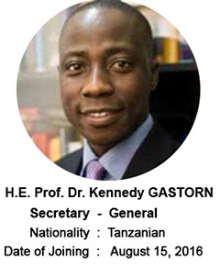 Prof. Dr. Kennedy Gastorn, Secretary-General of AALCO. The keynote address, delivered by Dr. Gilles Carbonnier, Vice President, ICRC, pertained to the topic “Humanitarianism, South-South Cooperation and the Red Cross Movement”. The presentation primarily focused on three points of query: what are the major challenges facing humanitarian action; how South-South cooperation and the emergence of the Global South reconsider the idea of humanitarianism; and, how does ICRC address the challenges. The first session pertained to “Artificial Intelligence, Autonomous Weapons and International Humanitarian Law”, and was chaired by Ms. Supriya Rao, Legal Advisor, ICRC, New Delhi. Dr. Knut Doermann, Chief Legal Advisor, ICRC Geneva, as the first speaker of this session, pointed out that in the context of continuing technological advancement, the AWS and how law governs it, will determine, how warfare would evolve in the future. Professor Subashish Banerjee from IIT Delhi, speaking on the topic “AI Algorithms: On Reliability Issues in Deep-learning”, apprised the audience of the technical nuances of the topic. Group Captain Ajay Lele, Institute for Defense Studies and Analyses focused his presentation on diverse uses, including present and projected uses, of complex algorithmic systems by armed forces, in weapons, logistics, and humanitarian services. In the following session Mr. Charles Sabga, Diplomatic Advisor, ICRC, Geneva and Ms. Kirsty Welch, Regional Legal Advisor, ICRC, New Delhi jointly addressed the topic “Humanitarian Diplomacy and the ICRC.” The session was concluded by the viewpoint of the People’s Republic of China being presented by Ms. Ren Xiaoxia, Counselor, Department of Treaty and Law, Ministry of Foreign Affairs of the People’s Republic of China. The vote of thanks was delivered by H.E. Prof. Dr. Kennedy Gastorn.